I can feel it, this is the year you take back your health and get in the best shape of your life. No more excuses, no more quitting, and no more putting it off. The sooner you start, the sooner you will reach your destination. Yes, there will be some bumps along the way but push through and stay the course. This time of year you see lots of new faces coming into gyms around the country, many of them being brand new to the whole health and fitness scene. If that is you, trying to get in shape can be intimidating and confusing. Usually you see beginners doing the wrong workouts, wrong exercises, and spend far too much time in the gym. As a result, they never see the results they want and end up quitting very soon after they start. To make sure that doesn’t happen to you, I have put together a list of 10 items that all beginners need to know before getting started. Read through the list, then apply the knowledge. By doing that, you will be setting yourself up for great success. 1. Have proper gym attire. 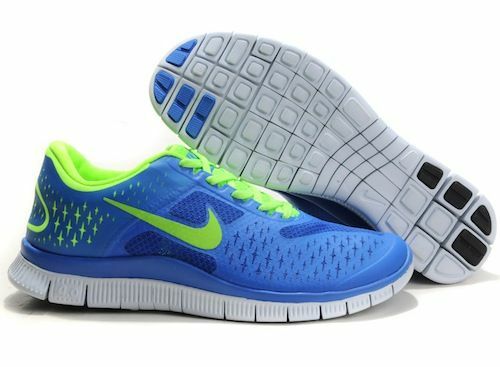 These are the three that I have worn in the past and currently wear, and find them to be incredibly comfortable for working out in. Vibram Five Fingers are my first choice by far followed by the Nike Free’s. 2. Bring a water bottle containing water. There is no need to bring in a sports drink, or worse some kind of soda or energy drink. Drink water and water only during your workouts. 3. Activate as many body parts as possible. Just the other day I saw two women come into the gym trying to “lose weight and get toned”. Do you know what their routine consisted of? Jogging on the treadmill for 30 minutes followed by a few sets of bicep curls, glute raises on the glute machine, and crunches on the ab machine… Not a very smart routine when looking to lose weight and get toned. There are plenty of exercises to choose from that will activate multiple muscles on each movement. You should then be sure to include some bodyweight exercises as well. Click HERE to see my top ten bodyweight exercises! Isolated exercises such as barbell curls, tricep extensions, and glute raises have their place in workouts but as a beginner they should not be the focal point in your workout. If you need help structuring your workout, be sure to check out this article. Intervals are one of the best ways to boost fat burning and get a ton done in a short period of time. Intervals are simply working at a very high intensity for an allotted amount of time, resting and repeating. Click here to see an example of an interval workout! I see this all the time, beginners showing up to the gym excited and ready to workout only to see them disappear for the next week because of being so overly sore from their workout. Understand that if you have not lifted or worked out for a while, this is something new for your body. Take things slow and build up to doing more as time goes on. 6. Find a beginners workout plan. Don’t head into the gym with a plan that is too advanced for you to handle. 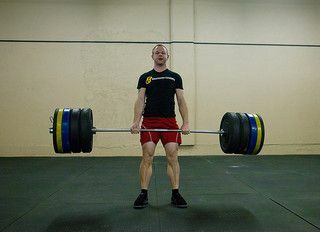 If you picked up a workout plan out of a magazine or from some bodybuilding website, more than likely it is too advanced for someone just starting out. Find a plan that fits your current fitness level and stick with it for at least a few weeks. Always be sure you have some sort of plan each day you go into the gym. Don’t go to the gym without a plan as you will simply be wasting your time. 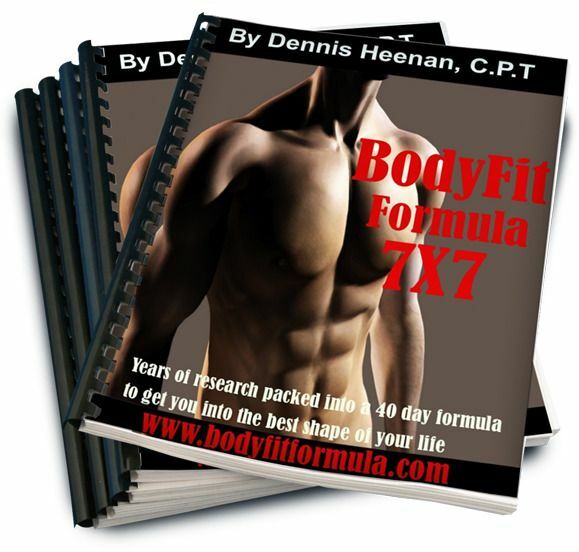 If you need a workout plan, be sure to check out my BodyFit 7X7 program as there are specific workouts just for beginners (plus much more)! Find someone that will push you to get to the gym and get better. Preferably, find someone that is a bit more advanced than you and willing to teach you and work with you (assuming they know what they are doing.) Working with someone more advanced than yourself allows you to see how hard and intense your workouts should be, and you will be able to pick up on things very quickly. 8. Be focused and intense. There is no need to watch others during your workout or take 5 minute rest periods between exercises. Focus on what you are supposed to get done, stick to proper rest periods, and keep your workouts high in intensity. Working out is the perfect opportunity to learn a new skill. If you hire a trainer, ask questions, drill them about proper form on exercises, be curious about why you are doing certain exercises and workouts on select days, etc. Your goal should not only be to get in shape, but to learn how you can keep yourself in shape for life! I have seen so many men and women who have transformed their bodies then realize that health and fitness is a huge passion of theirs. Now I am not saying it will become a passion for everyone but it doesn’t hurt to learn a thing or two about getting in shape. This is the most important: have fun with your workouts. Know one wants to spend 45-60 minutes on the treadmill jogging so don’t do it. Don’t fall into the trap of thinking that you must spend hours at the gym to get results or spend hours running on the treadmill. Those are completely false. Instead, find a few short and intense workouts that are fun for you to do. Not only will you be in and out of the gym quickly, but you will see far better results and you will keep coming back because you are enjoying what you are doing. My challenge to you is to apply this knowledge so you don’t waste anymore time trying to get in the best shape of your life. Your body is waiting on you to get it fit, so get started today!